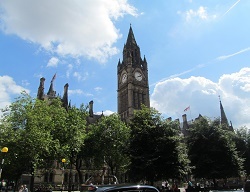 Northern England has many destinations available for three people sharing a room. Enjoy looking through the list of hotels below which are dotted throughout the north. Some of our personal favourites for three people are the Mercure group’s Dunkenhalgh, Last Drop Village and Norton Grange – all three located in the north west offering comfortable beds for each guest in their spacious rooms. If it’s more the north east that you’re looking at, you may wish to have a enquire about the Q Hotel Aldwark Manor, The parsonage Hotel & Spa or Hall Garth Hotel – all are equipped Northern Hotels that sleep three people in the same room. To enquire about how beds are set up for three people in the bedroom at your chosen hotel, please get in touch with us and we will be able to let you know the answer to any queries very quickly. Have a great, relaxing spa break with your friends. The Morritt Hotel, with a laid-back atmosphere and a superb period architectural interior, is close to Durham City and Barnard Castle. The wide variety of room types and styles offer something for everyone, from contemporary to ornate, historic interiors with four poster bed options or lavishly decorated suites. With a choice of two restaurants, there’s sure to be something to. . . The Best Western Royal Clifton Hotel & Spa in Southport is noted for its exceptional range of facilities and excellent standards of service. Over recent years it has been thoughtfully refurbished to offer you the comfort you expect in the best location for a hotel in Southport. We have a choice of bedrooms including spacious family rooms and suites. A. . .
Tankersley Manor Hotel & Spa is a great getaway for a spa weekend in Yorkshire, close to Sheffield. The 17th Century building has been combined sensitively with a modern spa hotel and many of the original features have been retained. Backing onto woodland, the 4 star, Tankersley Manor, Barnsley is built of mellow stone many rooms have exposed beams and deep. . . Escape your everyday routine and enjoy a relaxing spa break at the Crowne Plaza Leeds - boasting 135 bedrooms and seven meeting rooms that are equipped to handle your every need. There are accessible rooms, and family rooms available, and all of the rooms are fully air conditioned and come with 24 hour room service. The venue offers food and drink. . . The AA 4-star Whitewater Hotel is the ultimate rural retreat & spa situated in Lakeland village, one mile south of the world famous Lake Windermere and Ulverston. There are 38 luxury ensuite bedrooms with stunning riverside views. The hotel is an oasis of tranquility to escape from it all and the perfect location to discover the sights and delights of. . .
Netherwood is a striking Grade II listed Victorian mansion offering the perfect combination of old world charm and modern facilities and comfort. Situated in impressive landscaped gardens, and amongst 15 acres of woodland, it boasts dramatic views across Morecambe Bay. The beauty of the surroundings is matched by the warm and welcoming atmosphere and The Netherwood’s impressive interiors – comfortable. . .
Swinton Estate is one of the largest privately owned estates in England, situated in North Yorkshire and stretching from the River Ure in Wensleydale up onto the moors. Comprising 20,000 acres, about two thirds of the land is forestry, reservoirs and farmland and one third open moorland. The Estate owns upwards of 90 properties situated both within the charming market. . .